Bring a fresh, traditional look into your bathroom with this vanity. Its beautiful white marble counter and brown solid wood base bring a great new look into your bathroom. With a double-door cabinet and drawers, this vanity can hold all kinds of bathroom items. Add a classic feel to your bathroom with this simple vanity set from Wyndham Collection. This vanity has both an all-around look and a traditional style. Its beautiful white marble counter and brown solid wood base bring a great new look into your bathroom. There's plenty of space for items in this vanity's drawers and double-door cabinet. Bring a classic look and feel to your bathroom with this beautiful set from Wyndham Collection. 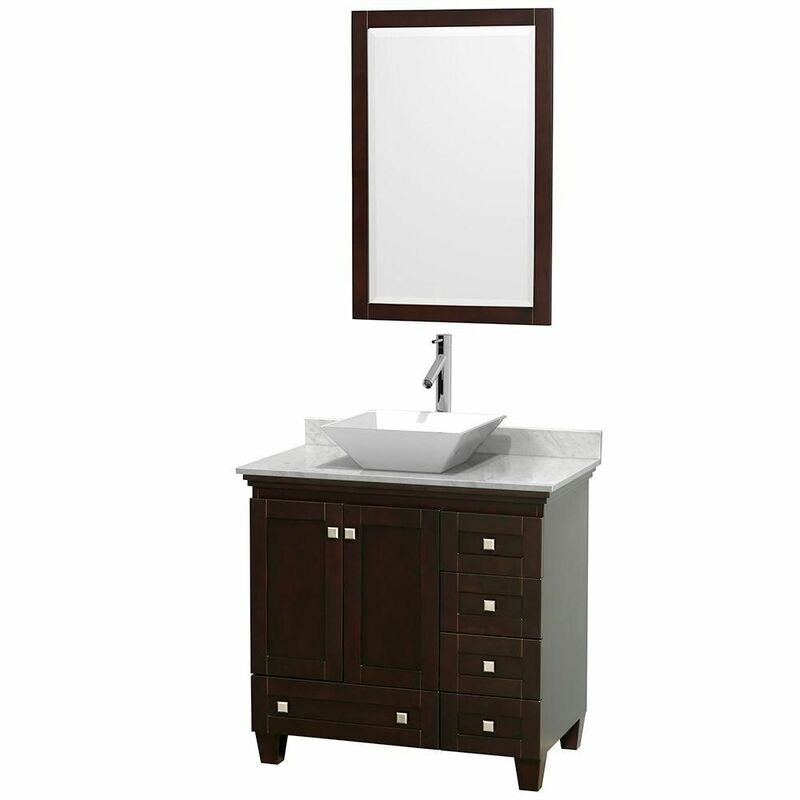 Acclaim 36-inch W 5-Drawer 2-Door Freestanding Vanity in Brown With Marble Top in White With Mirror Bring a fresh, traditional look into your bathroom with this vanity. Its beautiful white marble counter and brown solid wood base bring a great new look into your bathroom. With a double-door cabinet and drawers, this vanity can hold all kinds of bathroom items. Add a classic feel to your bathroom with this simple vanity set from Wyndham Collection.